Mysterious things happen in my neighborhood, Bilk, the hippest, hottest place in Düsseldorf, the finest city on the Rhine. It’s vibrantly diverse, in the good way! Just one of those odd things that sometimes happen here. Europeans Love ‘Columbo’, and Who Can Blame Them? If you want to strike up a conversation with any European, just mention ‘Columbo’. I have yet to meet any European who doesn’t know and love the rumpled, quizzical gumshoe. Even Hungarians. Pragmatic: The show seems to have been broadcast everywhere in Europe for much of its storied 32-year run. Can’t become a pop icon without everyone seeing you. The broadcast rights must have been fairly affordable. Linguistic: ‘Columbo’ and most of the characters spoke relatively slowly, without too much slang. This makes them easy to dub or subtitle. Universal cultural references: Everyone across the world likes Los Angeles, and knows (or thinks they know) enough about it to get most of the references. Universal themes: Everyone gets greed, duplicity, jealousy, and hate. Non-political in a vaguely leftist way: ‘Columbo’ was one of the few American TV series which was broadcast in Communist countries: “Hungarians love the series because it’s ‘thinking’ television, one in which the audiences enjoy watching the detective solve a murder…. ‘Columbo,’ like ‘The Saint,’ was among the few TV series allowed on the airwaves during the reign of communism — both shows were apolitical and painted the West as a den of murder and mayhem — making Falk a favorite uncle for Hungarian viewers over 30.” ‘Columbo’ was one of the few cultural products that were the same on both sides of the Iron Curtain. ‘Thinking’ television. Europeans have far less tolerance for gore and violence than Americans do (this is slowly changing). There was never any violence on ‘Columbo’; and he solved crimes by using his noggin. His European Jewish noggin. Not his giant American revolver. 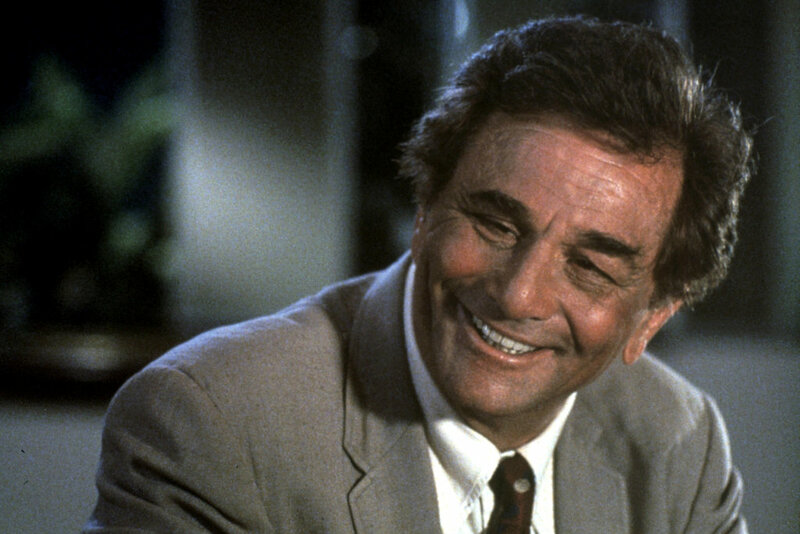 ‘Columbo’ was a real human: He had a glass eye, slightly stained teeth (at least in the 1970s), rumpled clothes, strong opinions, a sharp tongue, faults, and moods. Europeans distrust and dislike shiny happy beautiful thin fun-loving perfectly suntanned Americans with their terrifyingly straight rows of blindingly white teeth. They like their heros to be slightly-above average schlubs, like Columbo was. All told, ‘Columbo’ was probably one of the most effective American cultural exports of the late 20th century. And the show’s still pretty fun to watch.
) Love thy neighbor as thyself. 2. This principle has never been realized. It is not only unsuitable for the ethics of everyday life but also for the ethics of those who are most advanced. The only way it is realized, if at all, is in the exaggerated form: “Love thy neighbor more than thyself.” But then it is no longer pure, for here an idea is loved, an issue. Moreover, it denotes a condition, that of love. Accordingly, the ethics of socialism rest on 2 practical maxims. That corresponds to the tasks of a political movement.